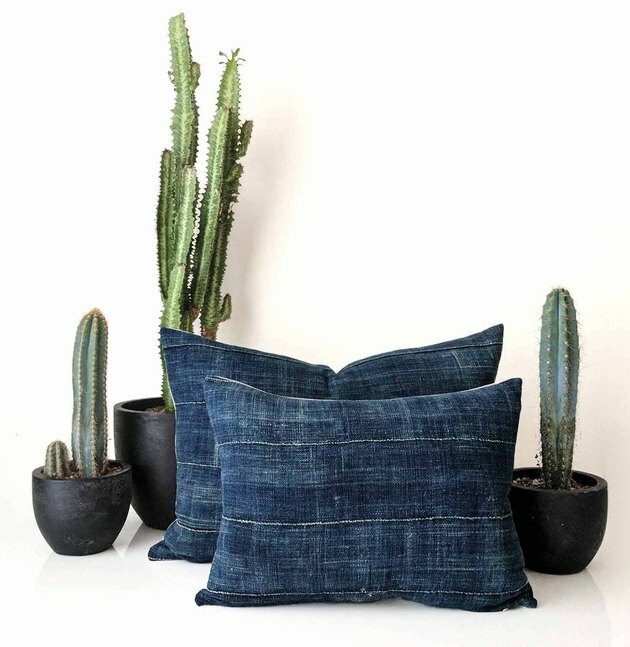 Featuring a patchwork motif made up of mixed, washed-denim triangles, this full-size cushion is perfect for casual lounging. 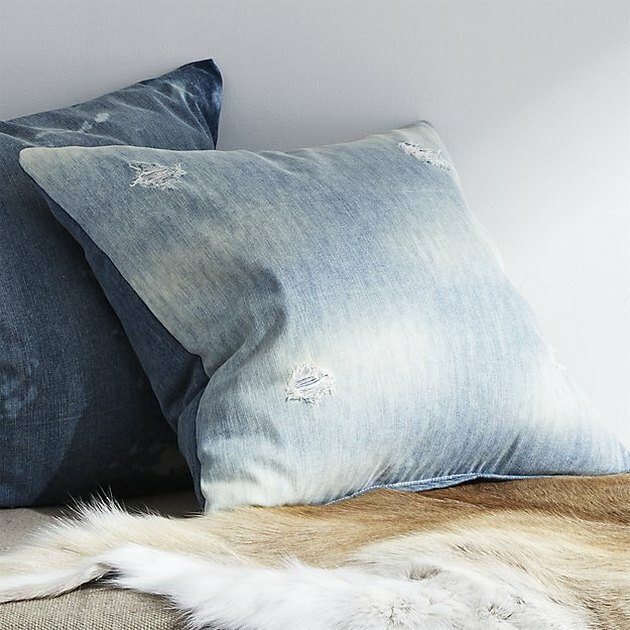 If ripped jeans are your uniform, then these distressed pillows keep the theme running. 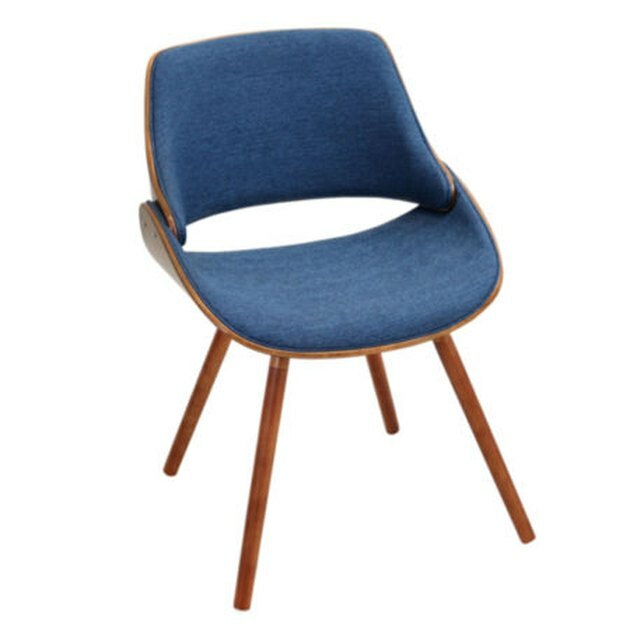 Denim is an unexpected feature on this midcentury-inspired chair. 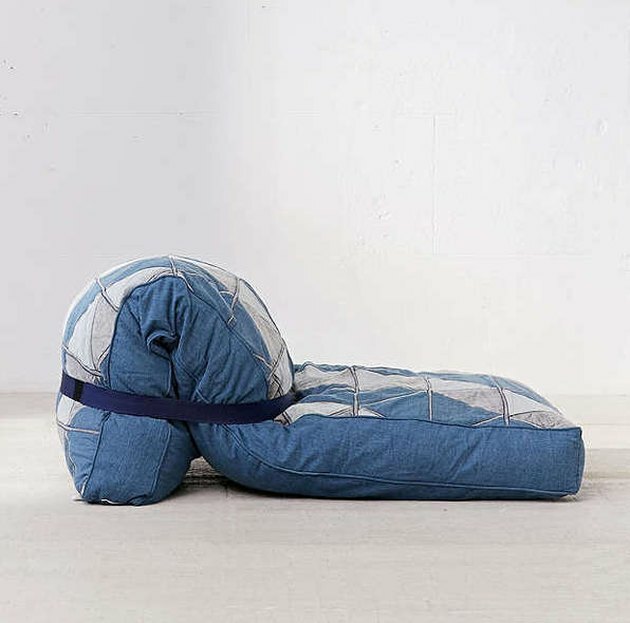 Try it as your main desk chair or in the corner of a bedroom for a pop of blue. 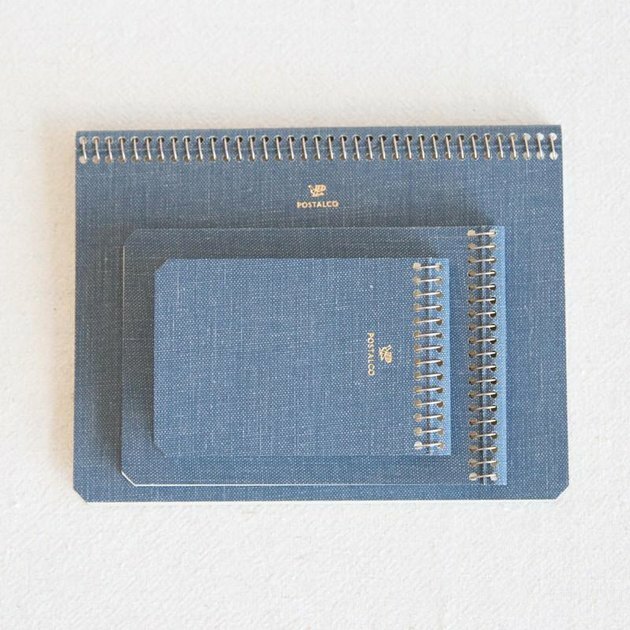 If you're loving the denim trend, but not sure how far you want to take it, these notebooks are cool but subtle. Chambray, shantay! 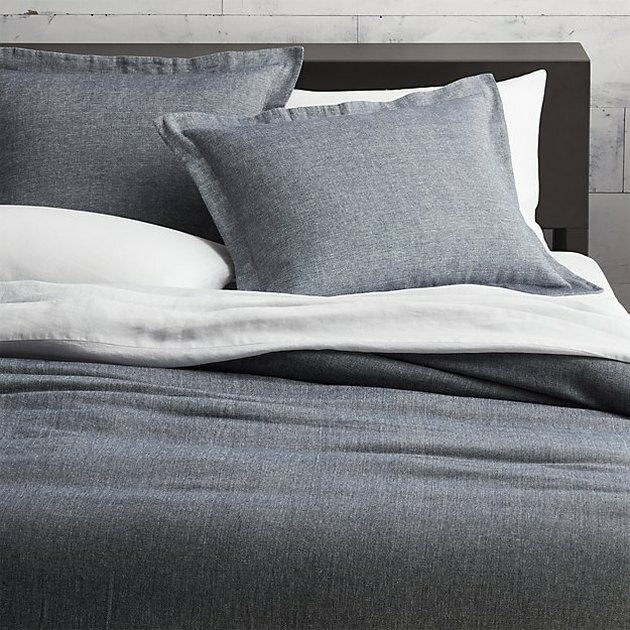 CB2's chambray duvet cover is exactly the type of neutral, unisex-feeling bedding that should be added to your rotation. 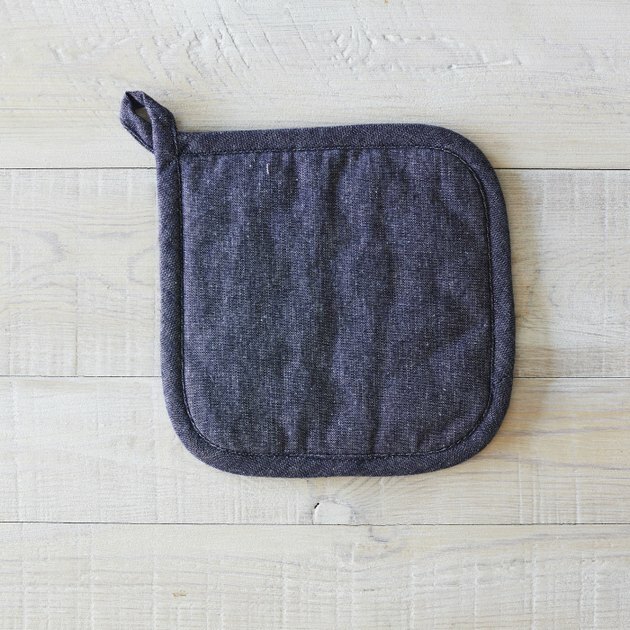 Swap out your boring or grody pot holders for this washed denim delight — very classy. 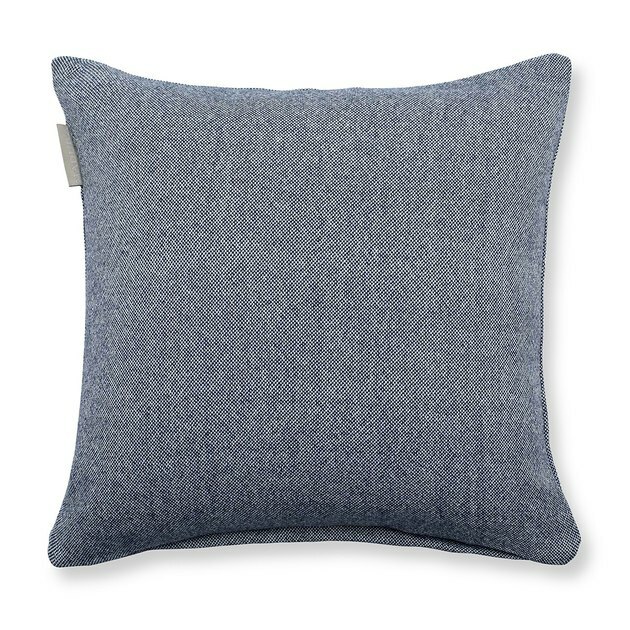 Freshen up your couch with some chambray pillows for an accent that feels just slightly beachy. 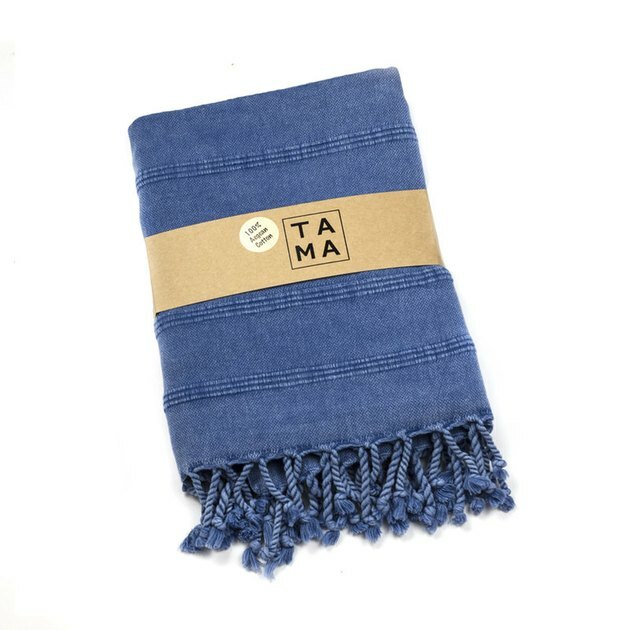 Featuring 100 percent stonewashed Aegean cotton, Tama's Turkish-style towels look undeniably great hanging on bathroom hooks. 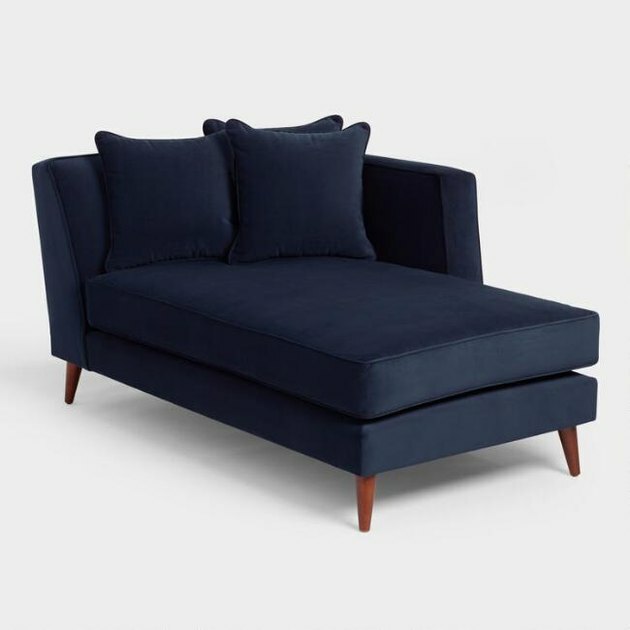 With a super dark and inky hue, it might take you a minute to realize that this chaise is covered in brushed denim upholstery — but it's such a pleasing surprise. 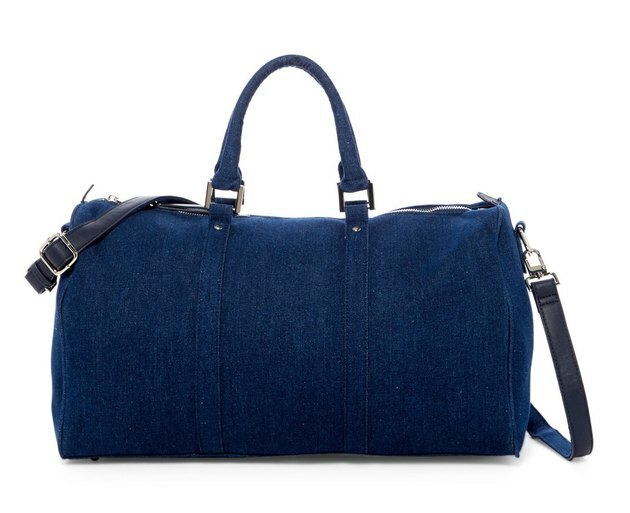 Here's a weekender with a material so cool, you'd be tempted to keep it on display even after your vacation. 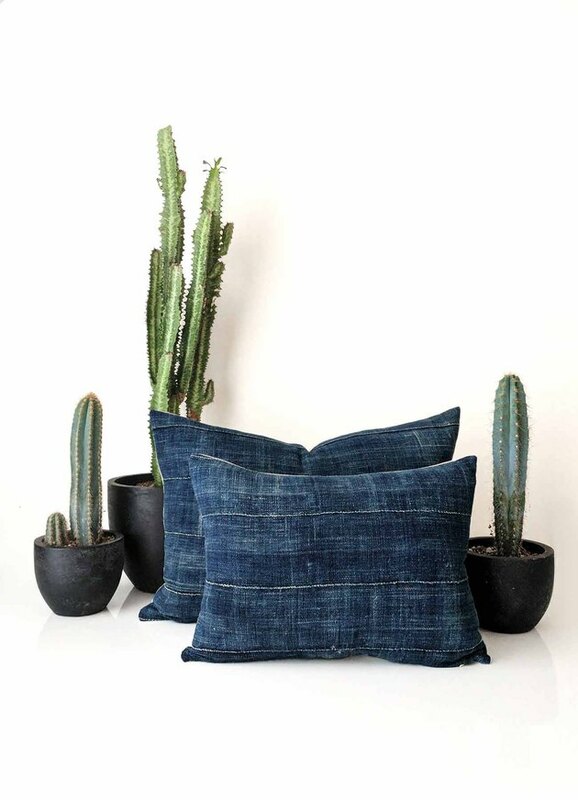 These handmade denim mudcloth pillows are just the thing your desert-chic decor is lacking. We are all about classy pet accessories. 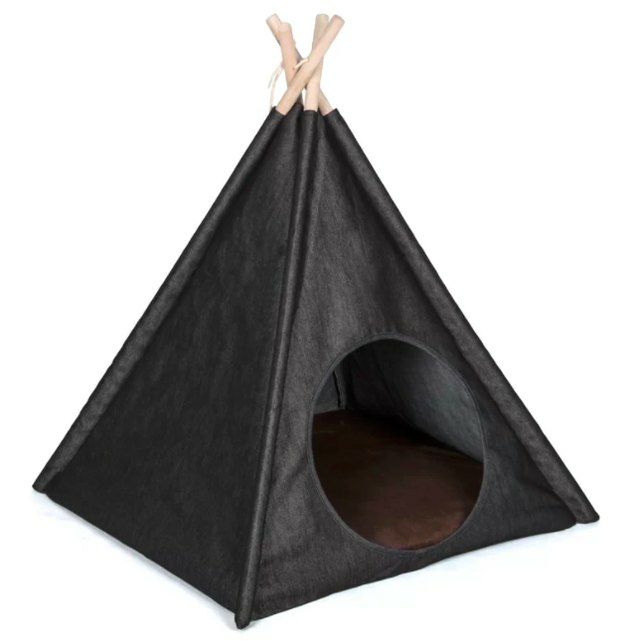 Case in point: this dark denim tent for your pup or cat that can work in a variety of rooms. They say jeans go with everything, so keep your options open with a denim dust ruffle. 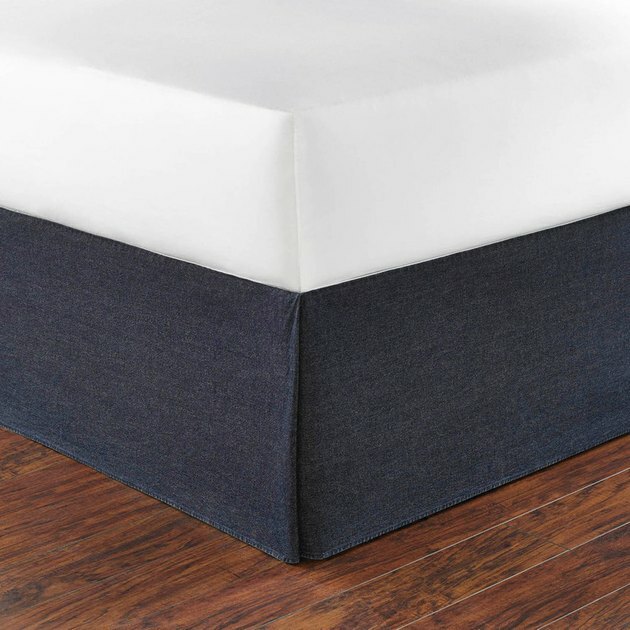 Feeling splurge-y? 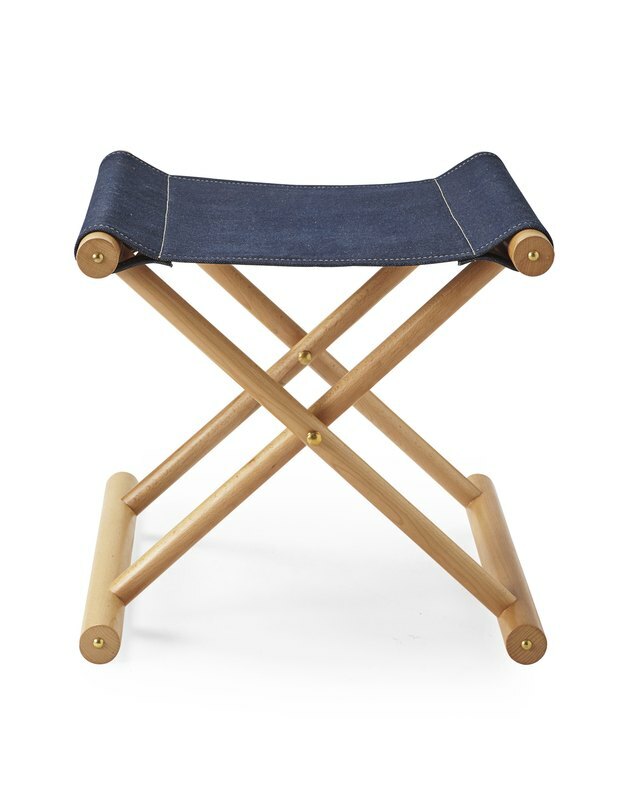 This denim stool feels very "I live in a cool Joshua Tree Airbnb" and we are here for it.